What if the solution to your achy joints lies in your own bone marrow? That’s what some patients are finding with stem cell therapy. 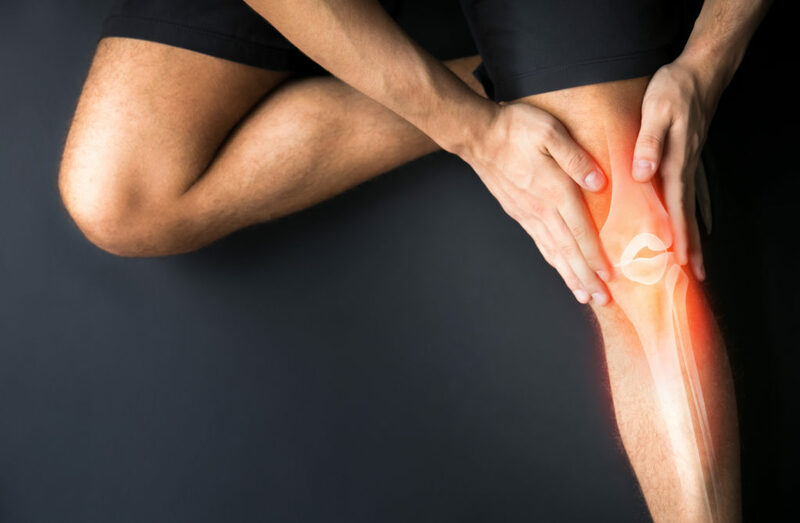 Although research is continuing, several studies have found that stem cell injections are a safe way to help ease the pain of knee injuries and osteoarthritis. At Southwest Spine and Pain Center, we have seen success using stem cell therapy as an alternative to surgery for musculoskeletal conditions that have stopped responding to traditional therapies. We recently treated a patient who tore cartilage in his knee playing basketball in his 20s and found his pain getting worse as the years went by. He came in hoping to avoid knee replacement surgery and was treated with a stem cell injection. This innovative treatment uses the body’s stem cells to repair and regenerate damaged tissue. When these cells are administered to areas of pain, they produce more cells, promoting healing and tissue repair. While research on the treatment is ongoing, it has shown the most benefit for those suffering chronic pain from degenerative disc disease, anterior cruciate ligament (ACL) tears, tennis elbow, golf elbow, arthritis, and other similar conditions. Stem cells used in treatment can come through the patient’s bone marrow or through allograft tissue. Bone marrow, which has a high concentration of stem cells, is harvested from the patient and reinjected into the body at the site of pain and degeneration. The intention is that the bone marrow will repair and rebuild the skeletal structures to improve pain and strengthen the damaged area. The treatment is not complicated. It includes an injection that prepares the area for the stem cell procedure. Bone marrow will be harvested from the hip area, prepared for reinjection, and then will be injected into the area of pain or injury. A follow-up treatment of platelet-rich plasma (PRP) therapy to the site of pain to “activate” the treatment may also help with healing and pain relief. Living, healthy donors may donate stem cells from placental tissue following a full-term pregnancy and scheduled Caesarean section. This form of stem cell therapy does not use stem cells from embryonic tissue. The stem cells from allograft tissue are minimally processed and preserved to maintain the integrity of the placental tissue and have been shown to support healing, reduction of inflammation, and soft tissue repair. Talk to your Southwest Spine and Pain Center doctor about whether stem cell injections might be an option for you.